When a meta, fourth-wall-breaking movie like Ralph Breaks the Internet enters development, it becomes a question of licensing as the film’s creative team begin to cherry-pick those characters and real-life figures available to cameo. 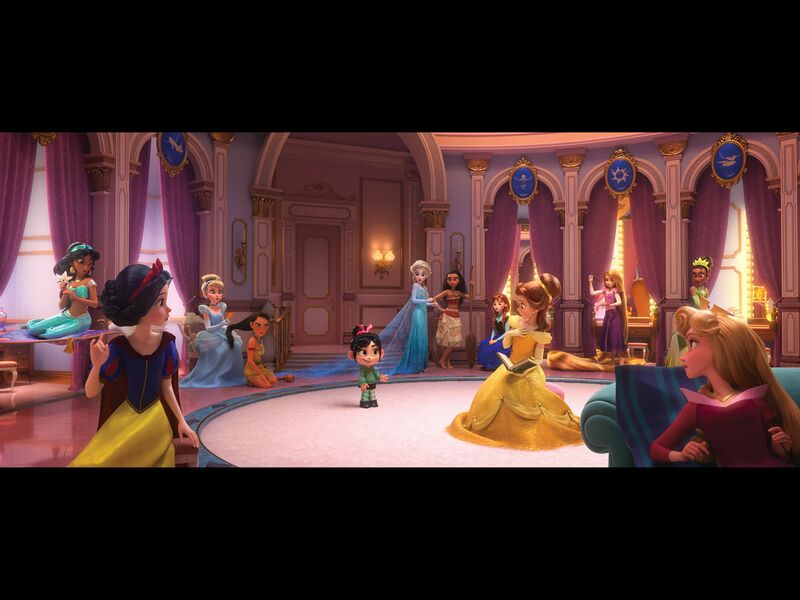 Lucasfilm, Marvel Studios and Disney Animation were all fair game, of course, and if you haven’t seen Ralph Breaks the Internet yet, the Disney Princess scene is almost worth the price of admission alone. But had things panned out differently, directors Rich Moore and Phil Johnston would’ve fought to bring Herbie the Love Bug into the equation. I wanted so bad to have Herbie the Love Bug to be in the scene, and we built a Volkswagen and it turns out that Disney doesn’t own that character, it’s owned by someone else. So that was heartbreaking. I loved those movies. It’s a pity, of course, but given how many characters have been crammed into the fabric of Ralph Breaks the Internet, Herbie’s screentime likely would’ve been limited to one or two seconds. Because let’s face it, while those cameos help sprinkle a little magic over Disney’s animated sequel, the movie still belongs to Ralph (John C. Reilly) and Vanellope von Schweetz (Sarah Silverman), as they set forth into the world wide web in an attempt to uncover its many secrets. Lauded as a worthy sequel to its incredible predecessor, Ralph Breaks the Internet has already scored $3.8 million from Thursday previews, and is expected to give Creed II a run for its money this Thanksgiving Weekend.